What’s the purpose of an agency? For us, it’s to make our clients better than they would be without us. We work with advertisers if we believe we can genuinely improve their performance, whether that’s by fully managing a client’s account or working with in-house teams to provide tech, analytics, or consultancy. Below are just a few examples of the remarkable results we’ve achieved with our clients. Football tournaments are always good for pizza delivery companies, but we wanted to take it to the next level. Working with Domino’s during Euro 2016, we developed a way of personalizing ads at scale, adjusting bidding strategy and ad copy according to our analysis of how the time of day and even events on the pitch affected consumer behaviour. CTR increased by 22%, AOV by 17%, and ROI by an incredible 55%. 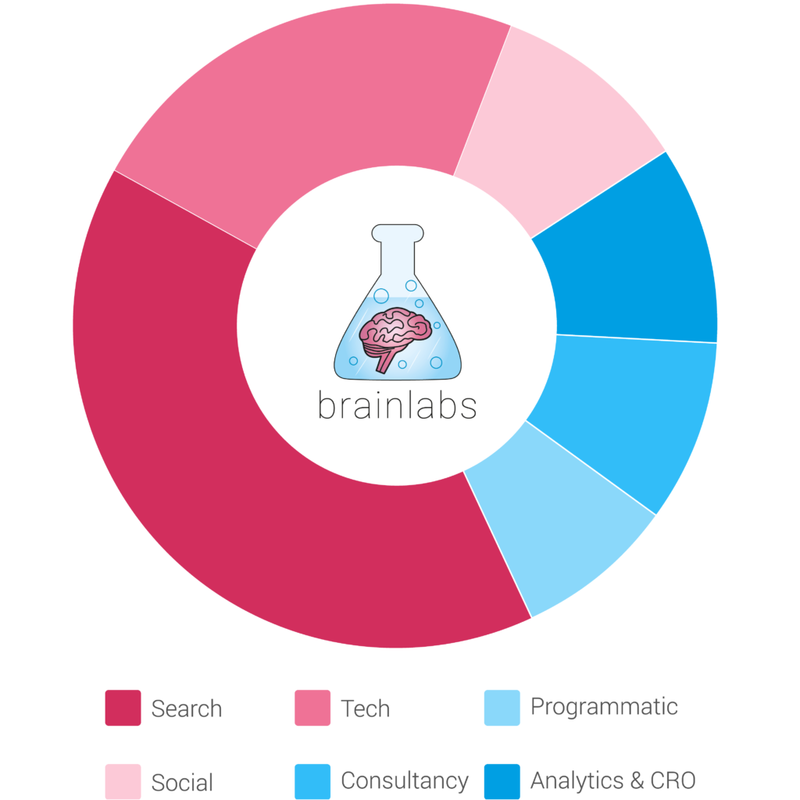 Simply Business needed a full Brainlabs search makeover. That meant restructuring their account (using our own ‘A/B Labs’ tool to test new campaigns against the old) and some expert use of Google’s Customer Match, plus another unique piece of BL tech, 24/7 bidder, to optimise bids based on intent. The results? A whopping 27% increase in traffic, 16% uplift in leads, and a reduction of CPC by 13%. Below is some data on our current client mix. We work with a diverse set of clients across many industries; what unifies them is their ambition to be the best in the business. We have experience across virtually all sectors. We bring the biddable expertise; you bring the knowledge of your market. That’s how we build the best-in-class marketing operations for all our clients. Our cross-vertical experience that allows us to share new and innovative techniques from parallel industries. We grew our own business by working with SMEs, and we’ll always love working with brands that are well established, but still hungry for growth. Over the years, we’ve taken on a few larger brands too, which has presented some really exciting new challenges, such as running accounts across multiple continents or implementing cross-channel strategies. We’re specialists — we want to be the best in the world at whatever we do. Back when we started we were purely paid search; we added paid social and programmatic when they were born. All of these channels are powered by our skills in automation & data. The split between our different services is no coincidence: it’s closely related to the size of each channel within digital. We only want to do what’s valuable. For some clients, that’s running everything; for others, it’s tech with a bit of analytics and CRO or it’s using our expertise as consultants. That’s why we work as an agency as well as with in-house teams. It means our clients have the freedom to choose the services that they truly need.